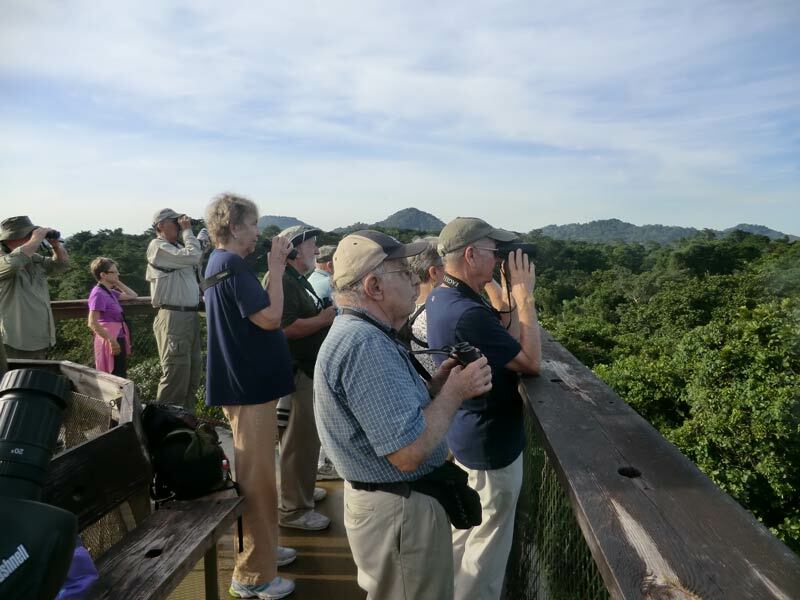 Our day began at the Metropolitan Nature Park, a protected woodland located in Panama City and one of the few on the planet inside a major urban center. We spotted a Slaty-tailed Trogon that gave us great views, a colorful Blue Dacnis, Crimson-crested Woodpecker, Dusky Antbird, Lesser Greenlet, Rufous-breasted Wren, Plain-brown Woodcreeper, White-vented Plumeleteer and some migratory warblers. Along the trail we found a Brown-throated three-toed sloth climbing at eye-level, letting us see details of his anatomy and appreciate his moisture laden fur. In the afternoon we visited the Miraflores Locks at Panama Canal. We enjoyed the vessels transiting this important waterway, learned about its operation, and from the visitor center's top deck we were able to see the expansion works intended to increase this inter-oceanic path capacity. We left for Gamboa, a small town-site located in the middle of the Panama Canal. 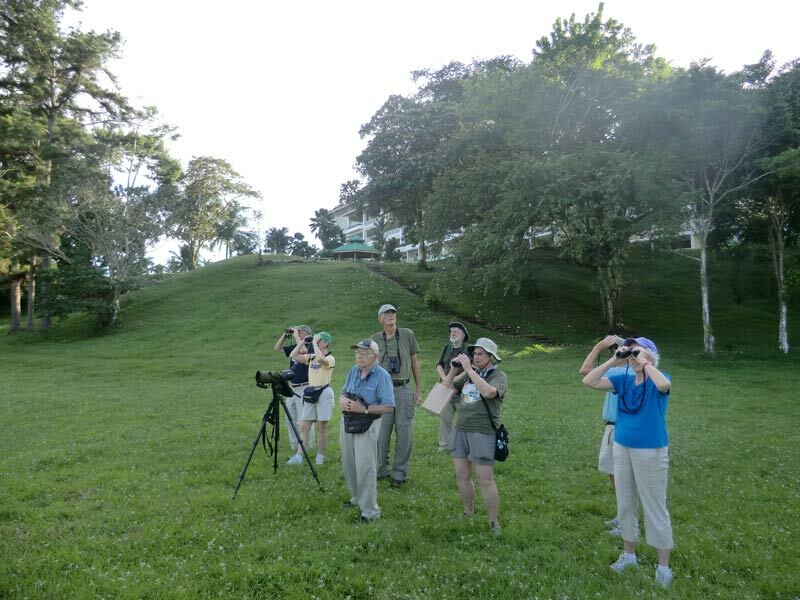 We were based at The Gamboa Rainforest Resort at the Chagres River bank and surrounded by lush rainforest, so after taking our villas, we were back in the field to explore the environs. We saw flocks of Orange-chinned Parakeet Red-lored Parrot, Rusty-margined Flycatcher, Mangrove Swallow, Lesser Kiskadee, a Purple Gallinule with her chick, and a Ringed Kingfisher. The next morning we had an early start and with a boxed breakfast we headed to Rainforest Discovery Center, located at the world famous Pipeline Road. There ,from a 110 ft. tower, we saw the forest awakening from above: Mealy Parrots, Short-billed and Scaled Pigeons, Blue Cotinga, Keel-billed and Chestnut-mandibled Toucans, Collared Aracari, Black-breasted and Pied Puffbirds. Then we ventured to the center trail system where we found a couple of Song Wrens building a nest as well as Scarlet-rumped Cacique, Dot-winged and Checker-throated Antwrens. Our tour finished at the main station hummingbird feeders where we saw White-necked Jacobin, Long-billed Hermit, Vilolet-crowned Woodnymph, Blue-chested and Snowy-bellied Hummingbirds. 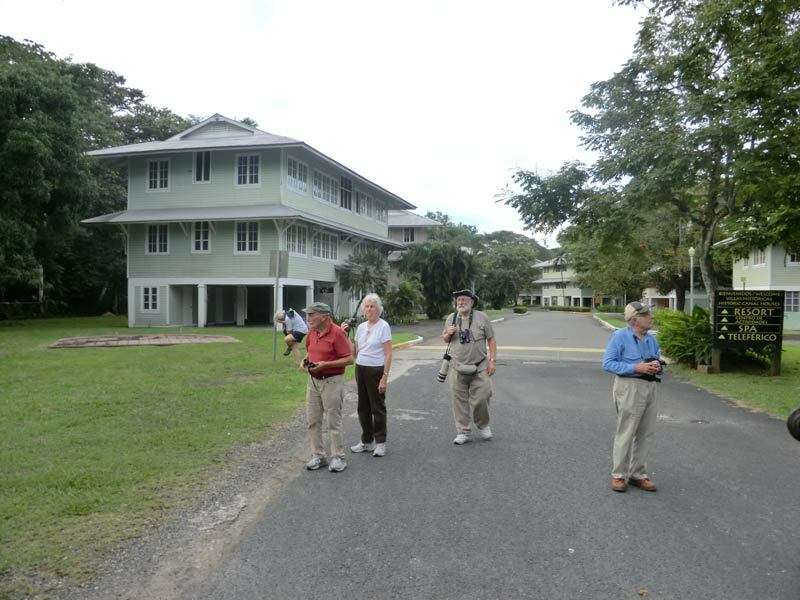 We returned to the hotel for a well deserved break, but in the late afternoon we were out again and birding the hotel grounds. 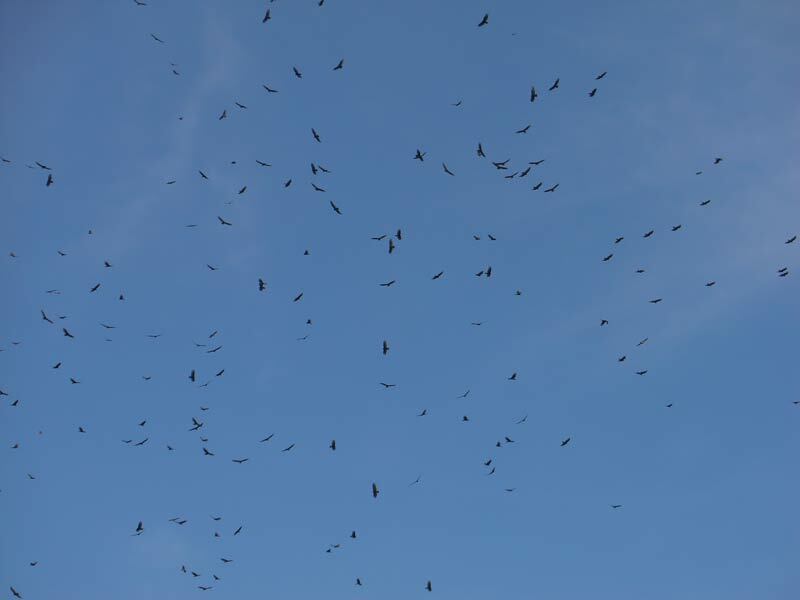 The highlight was a huge kettle of 600 raptors: Turkey Vultures, Swainson's and Broad-winged Hawks, flying low over our heads: yep! We witnessed the Great Raptor Migration! Tomorrow we start Panama countryside discovery; our first destination: El Valle, a small town inside a dormant volcano crater! 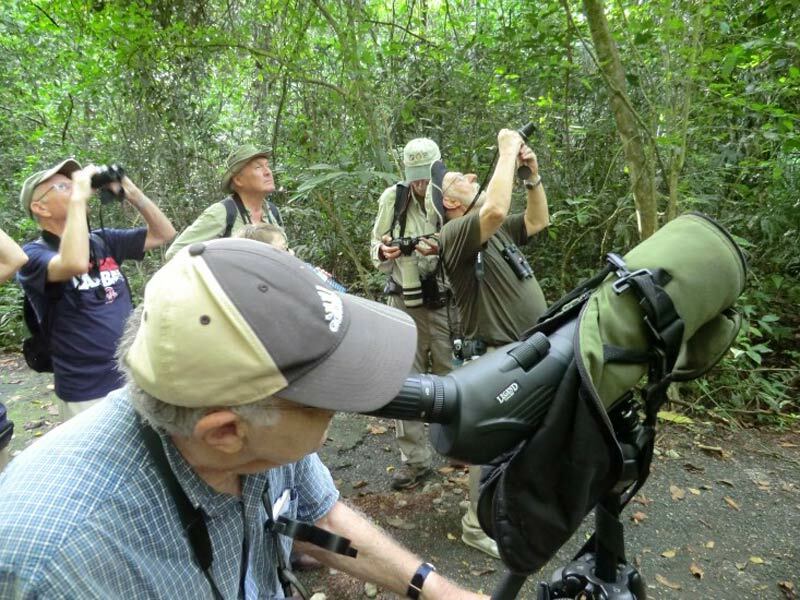 Holbrook Travel was invited to participate in a 3-day event to kickoff the new government initiative to promote birdwatching in Colombia.